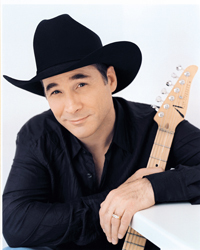 There are still tickets left for “An evening with Clint Black” at the Sun Valley Pavilion on Thursday, Sept. 12, at 7 p.m. The event is particularly welcome after the interruptions caused in the community by the Beaver Creek Fire. Black is a country music singer-songwriter, record producer, multi-instrumentalist and occasional actor. Signed to RCA Records in 1989, Black made his debut with his “Killin’ Time” album, which produced four straight No. 1 singles on the US Billboard Hot Country Singles & Tracks charts. In addition to his No. 1 singles, he’s amassed more than 30 singles on the Billboard charts. Known for his more classic, traditional country style, Black was strongly influenced by Waylon Jennings, Willie Nelson and Merle Haggard. In his special performance in Sun Valley, Black will present an intimate show, sharing the stage with just four musicians. Premium tickets are sold out. Tickets can be purchased online at www.sunvalleycenter.org, in person at The Center or by phone 726-9491, ext. 110. Tickets: Online at www.sunvalleycenter.org, at The Center in Ketchum or by calling 726-9491, ext. 110.